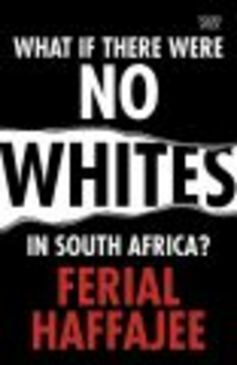 The title of South African newspaper editor Ferial Haffajee’s book, What If There Were No Whites In South Africa?, is provocative on many levels. The title alone is likely to evoke an emotional and visceral reaction from people across the colour divide. Responses could range from: “good, that will solve all our problems”, to: “yes, then we will see how things deteriorate”. The timing of the book, and the topic, speak to deepening, divisive race consciousness in South Africa, 21 years after the dismantling of apartheid. The author describes 2015 as a tumultuous year in the country’s history, punctuated by protests and racist incidents and attacks. In grappling with controversial sociopolitical issues around antagonistic race relations in South Africa the author draws from her personal, sometimes intense experiences and insights. She shares her story as a black women, and successful journalist, forging a space in an emerging democracy. 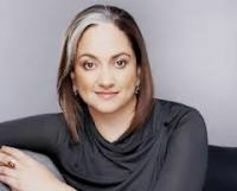 For Haffajee, the political is intensely personal. It is the weaving together of these two strands that gives the author’s perspectives and insights great impact. The central thrust of the book is compelling. It argues that black South Africans, especially the new generation of young, black “born frees”, are obsessed with whiteness and white privilege. What emerges from the author’s reflections, discussions and research, is that angry – often polarising debates – about the ideology of whiteness now dominate national conversations and social media platforms. They also featured prominently in the enraged voices of the recent wave of student protests. The author taps into the psyche of the new generation of influencers through roundtable discussions and conversations with key young thinkers, pacesetters and elites. The #Rhodes Must Fall and #Fees Must Fall student movements started out as causes relating to specific student issues. But they have escalated into a multiplicity of concerns. The narratives that dominate the public space have morphed into intractable deeper questions about social justice and inequality. These are underpinned by the grand narrative of entrenched white supremacy in South Africa. She goes on to say that this grand narrative, shared intergenerationally across race groups and manipulated for political expediency, is gaining traction. Haffajee argues that this angry fixation on whiteness is limiting, backward looking, constrains agency, and is disempowering on many levels. She debunks the many myths and distorted perceptions in the public domain concerning white dominance and power. The main storyline of this “false consciousness” is that whites and blacks perceive their numbers as roughly equal. Therefore, transferring the power of whiteness to black people would provide the panacea for the country’s woes. These distorted narratives belie the statistical evidence that whites are a declining small minority, down from 10.95% of the population in 1996 to 8.4% in 2014. And there would be little impact on distribution if the wealth of white people was nationalised and their resources distributed to black South Africans. Haffajee recognises that South Africa is not truly transformed. She emphasises that white privilege and arrogance, informed by apartheid, colonialism and patriarchy, are still deeply entrenched, sharing her personal encounters with these. She asserts that acknowledgement by whites of their privilege and an apology for the past is both necessary and desired by black South Africans. What she cannot understand is how “freedom’s children” – the new generation of bright, articulate, motivated and educated young black people – define themselves. They see themselves as a disempowered minority seemingly confronted with the distorted perception of an overwhelming and oppressive white majority. She argues that this means they have lost sight of the many gains that have been made since the advent of democracy; the rapid mobility of a growing black middle class, a substantial welfare net and a better life for many. The disempowering narrative is played out against what the author describes as a powerful “black political kingdom” where the governing ANC controls extensive swathes of the economy and polity. It rules with a massive support, has huge financial muscle with spending capacity of R500 billion a year. The author harbours deep conflict about the self-limiting discourse. The white dominance narrative is clearly at odds with her hard-won, middle-class freedoms and the black world that she perceives she inhabits. But she resists becoming part of the “self-satisfied elite” and finds comfort in the angst that prompts her to question her thinking. She provides perspectives on possible causes of the whiteness obsession, observing that it is much easier to slip into victimhood – the default language of powerlessness – than claim the space, use the influence and authority to shape society. … the more passionately the “liberated” ego needs to vent itself. Desperately threatened egos can result in anti-white racism, anti-Semitism, a hatred of “outgroups” and increasing discrimination. Haffajee vacillates between optimism. Among promising factors are the positive outcomes of the student protests. And pessimism – the rampant corruption, mismanagement and abuses by the government. It is this tension and self-doubt that permeate the book. 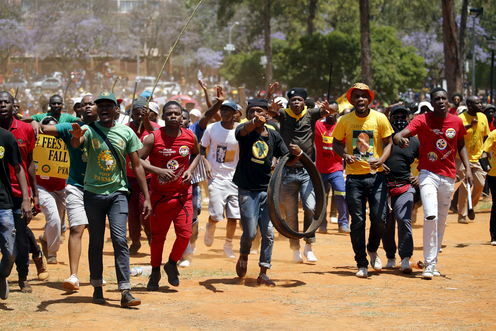 The worthy, noble struggle for deep social justice by millenials in South Africa is juxtaposed against the disempowering narrative of “whiteness”, presented by the next generation as responsible for the burden they face. These competing narratives make the book a challenging read. The reader is left feeling deeply ambivalent, still seeking answers to the provocative question posed by the title. This is perhaps the purpose of the book. It provokes the hard, uncomfortable conversations about the “unfinished business of colonialism and apartheid” that South Africans must have if they are to move forward together as a nation. What If There Were No Whites In South Africa? is published by Pan Macmillan. Lyn Snodgrass does not work for, consult, own shares in or receive funding from any company or organization that would benefit from this article, and has disclosed no relevant affiliations beyond the academic appointment above.